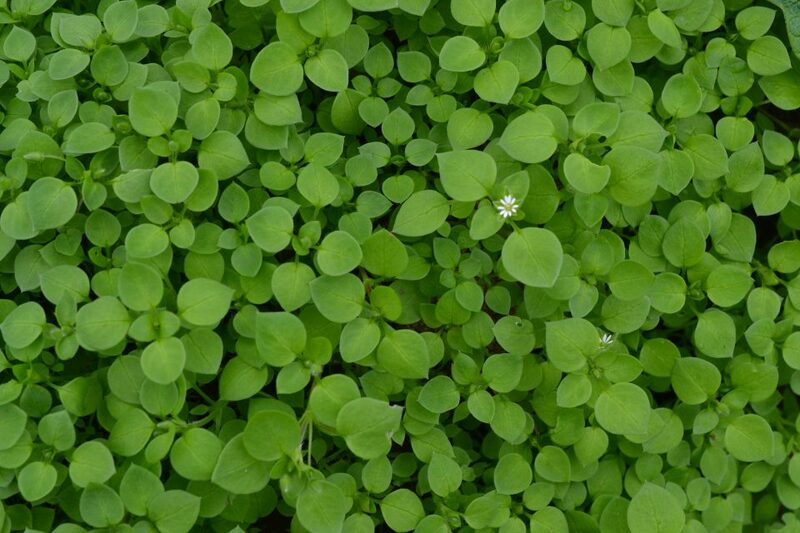 A firm favourite, Chickweed Stellaria media this little bright green annual spreading ”weed” has so many uses and when used fresh and young has a wonderful ”green” taste, as pesto, in a salad, in pakoras and so much more. It gets it’s name from Stellar, as it’s little white flowers are star like and is identified by the little single line of of fine hairs on it’s stem. Also used as a liquid fertilizer, hen food!! and as a green manure, just chop and turn into soil for adding fertility. Can also be used as a soothing body cream for sore skin, try adding a handful to your bath water for a beneficial dip. 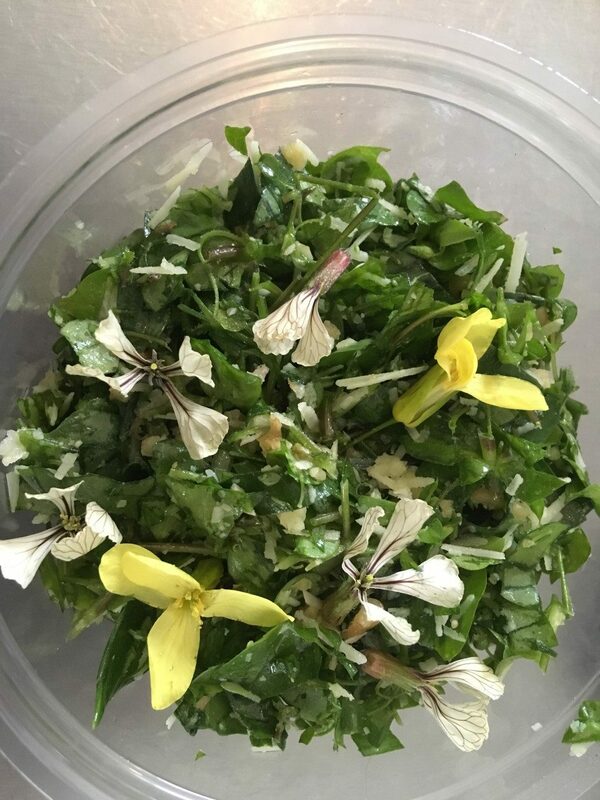 One of my favourite things to make with it is Chickweed pesto. I don’t whizz it, just chop roughly maybe with some ramsons or chopped garlic cloves. Add olive oil, pinch of salt, chopped walnuts and a little Parmesan. Divine on toasted sourdough and manchego, grilled veg/fish and eggs cooked in many ways.